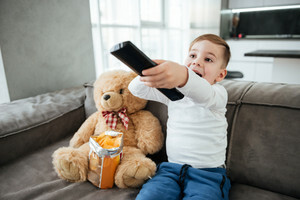 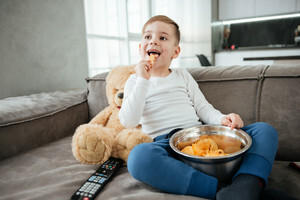 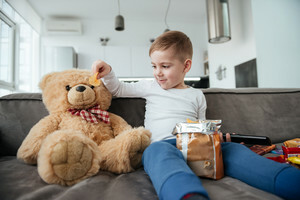 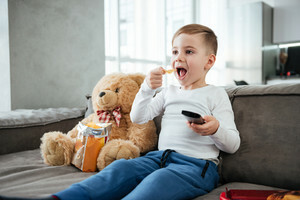 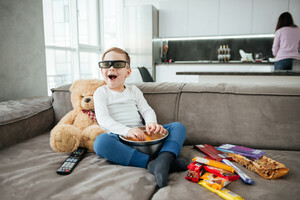 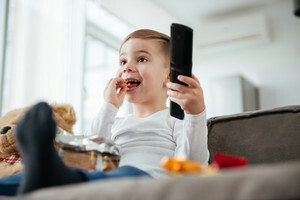 Photo of boy sitting on sofa with teddy bear at home and watching TV while eating chips. 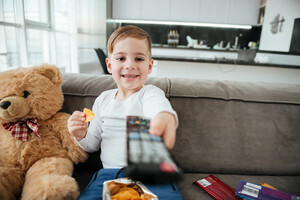 Holding remote control. 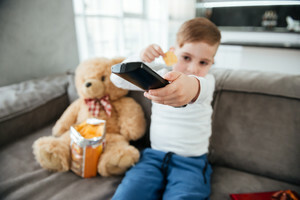 Focus on remote control.